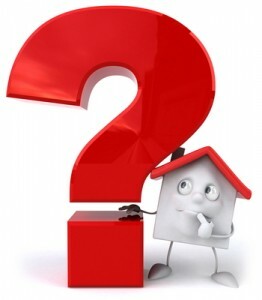 Lock Your FHA Mortgage Rate : FHA Mortgage Insurance Premiums May Rise In Early-2013. I attended a mediation hearing for a client, as a service we provide, where I pointed out to the mediator the flaws in the Bank ordered BPO and the Mediator agreed that the instruction to the BPO Agent was a mis-representation of its true value and marked on the Mediation Resolution Form, “BPO was flawed due to mis-representation.” Thus finding that the Bank was acting in bad faith and therefore the “Certificate of Foreclosure,” will not be issued! You also can act on your clients best interest, as well as on the promptings of the GLVAR President and myself that this must stop! This is Aiding and Abetting Fraud perpetuated by these institutions and by doing nothing we are allowing it and seeing homeowners put out on the street! Remember GLVAR is a Self-Policing Entity, that means All of Us are responsible! Please start reporting Agents that are following these flawed instructions by Fannie Mae or whichever servicing entity has engaged the BPO Agent. Is the money really worth your license? Below, see our original article published earlier this year. This issue is going to get worse prior to resolution! A homeowner wanting to do the right thing in relation to working out here situation with her lender, contacted me for assistance. She explained to me that she is behind in payments and wanted to know her options, at this time. Mind you this is a very nice home, in a very nice community, however, like many homeowners in today’s distressed market, her circumstances have caused her to become delinquent. Wells Fargo, the servicing company for Freddie Mac, instructed her that she would have to consider selling the home as a loan modification was not an option due to insufficient income. Wells Fargo stated they would do a valuation. They hired an evaluator to provide a Brokers Price Opinion, known in the industry as a BPO. This BPO / Appraisal as her lender stated, would be necessary for them to re-entertain a loan modification or to establish a sale amount to cover and include unpaid principal, reinstatement fees, back interest, and legal fees. The Freddie Mac BPO was valued at around $370,000 dollars. When the homeowner contacted me to discuss listing the property for sale, as she was instructed by Wells Fargo, I was perplexed by the fact that I could not find any comparable “Model Matches” in the entire community or similar models in the surrounding communities that came anywhere close to the banks valuation. My valuation was more in the range of $280,000 to $290,000 a variance of over $80,000. This places the homeowner in a potential Short Sale situation, which we are more than happy to assist with and successfully provide for our clients. However, with the banks valuation I stated that “this over valuation by the bank has to be explained, as Lender BPO’s are done by other professionals in the area.” When I contacted the Homeowner’s bank, not surprisingly, I was declined a copy of the BPO. However, the homeowner had the contact information for the evaluating agent. As this industry is small, I knew the BPO Agent, and contacted him directly. With the right connections I was able to obtain a copy of the BPO results and have a conversation with the evaluating Agent. I was taken back by his “Instructions” from the Servicing Company as guidelines for any Freddie Mac backed home. He stated, “You would never believe how far I had to go outside of the subject properties’ community to find non-distressed comparables.” This was his specific instructions by the Servicing Company for Freddie Mac, “No Distressed Properties are to be included in the report!” Placing the comparable homes completely outside of the community. In fact, he mentioned, “The Comps selected were beyond a mile!” I ask you, How is this a Comp?! This type of activity is completely putting our market, not only here in Nevada, but across the country in turmoil. What is the motivation behind inflating the price on a non-performing Asset? If no resolution, the homeowner is left up a creek without a paddle. 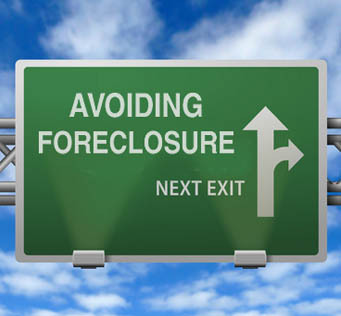 Without assistance through a short sale most homeowners inevitably end up in foreclosure. It would seem Freddie Mac and Fannie Mae have decided NOT to help homeowners in trouble. Is this the result for homeowners trying to do the right thing? Who benefits from this inflated BPO that created this mess? Please understand, though overseen by the Treasury Department, Freddie Mac or Fannie Mae have their own motivations. When a Freddie Mac and Fannie Mae backed homes revert to them through either foreclosure, deed-in-lieu, or other means, it is then made available through a variety of venues, for instance Fannie Mae’s HomePath Program (select the HomePath “More Info”). This program does not require appraisals for buyers using it, offers incentives, and offers as much as only 3% down assistance. On the surface this is attractive to the buyer, however, with these incentives they can then over value and oversell the property by 10% to 30% over current market value as stated in the “Related Articles” below. 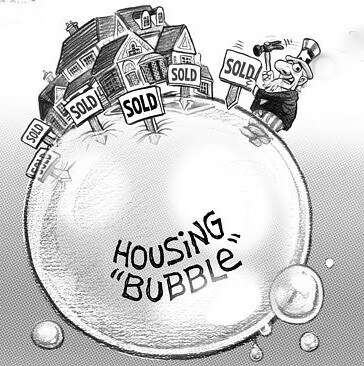 By further controlling the number of homes released to the market and constricting inventory, this inevitably drives up a falsely inflated market. “BUYERS BEWARE” you may be closing on upside down property from the get go. Again, I ask where is the Assistance for the Sellers that fell victim to this same behavior and here it is being condoned by an entity with Government oversight?! Homeowners must no longer allow banks to have it their way. This type of mentality that “They are To Big to Deal With,” must change. Be an informed seller, an educated buyer, and a smart investor. The homeowner in this situation, through Network Assistance Program is taking the steps with us to utilize Nevada’s Foreclosure Mediation Program. Follow us for more information as this scenario unfolds. If you find this information useful and applicable to you or others close to you, please contact us and / or share through our social media links. We can assist you in knowing which is your best option in relation to your real estate needs and we want to help you get the assistance you need to maneuver through this unprecedented Real Estate Market. Please contact anyone of our Team Members here at Platinum Elite by clicking on our Home Page, email us at Info@PlatinumElite.com or call us at 702-869-9999. Applications for mortgages decreased as mortgage interest rates rose to recent highs during the week ended March 8. The Mortgage Bankers Association’s (MBA) Market Composite Index, a measure of application volume, was down 4.7 percent on a seasonally adjusted basis from the previous week and 4.0 percent on an unadjusted basis. The Refinance Index was down 5 percent compared to the week ended March 1 and the refinance share of mortgage activity decreased to 76 percent of total applications from 77 percent, the lowest share of refinancing applications since May 2012. Thirty percent of those applications were for Home Affordable Mortgage’s (HARP), up from 28 percent the previous week. The seasonally adjusted Purchase Index was down 3 percent while the unadjusted index was down 1 percent from the prior week and was 9 percent higher than one year earlier. Read Mortgage News Daily’s entire article as it touches on factors you need to consider in 2013 for your home selling or buying interests. As the market is in flux with concerns regarding inventory availability, Notice of Default filings on the rise, and HAFA’s expiration for the second consecutive year?! Donald Lainer, Team Leader for the Platinum Elite Group touches on the Las Vegas Market Conditions in his Neighborhood Home Rescue Workshops. For questions or to discuss your specific circumstances and needs in detail, feel free to contact one of our associates at PlatinumElite.com, info@platinumelite.com or by calling 702.869.9999.